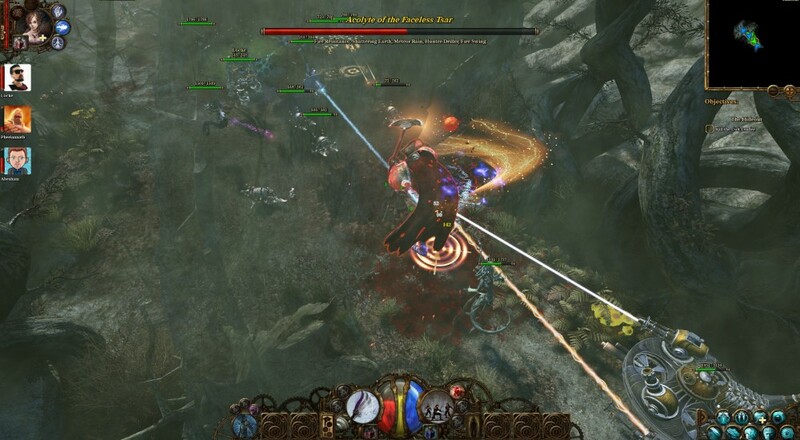 The Incredible Adventures of Van Helsing III hit Steam last week, being the third game in the series if you've played the previous two you should know what to expect. It's totes the line very closely of the last game with quirky humor, varied characters and skills, and tons of meta elements to manage. How about those character classes though, huh? It's both the game's best feature; having unique and varied classes of characters from other ARPGs out there - and its greatest weakness; what was I called again? In last night's co-op stream we each took one of the new classes for a spin through the first chapter of the game, combining our powers for chaotic and explosive firefights against numerous enemies like giant frogs, ents, and a tiny Godzilla like creature stuck in a bird cage. This game is bizarre for sure. Page created in 0.5916 seconds.